"A dress from Schiaparelli ranks like a modern canvas" - "The New Yorker". Elsa Schiaparelli (1890-1973) was one of the leading fashion designers of the 1920s and 1930s with a flair for the unusual. The first to use shoulder pads, animal print and the inventor of shocking pink, Schiaparelli collaborated with artists including Jean Cocteau, Alberto Giacometti and Salvador Dali, to create extraordinary garments such as the Dali Lobster Dress. Schiaparelli had an affluent clientele, from Katherine Hepburn to Marlene Dietrich, who embraced her outrageous but elegant designs. She designed aviator Amy Johnson's wardrobe for her solo flight to Cape Town in 1936, the culottes for tennis champion Lily d'Alvarez that outraged the lawn tennis establishment, and her clothes appeared in more than 30 films including "Every Day's a Holiday with Mae West" and "Moulin Rouge". Schiaparelli's fascinating autobiography charts her rise from resident of a rat-infested apartment to designer to the stars. 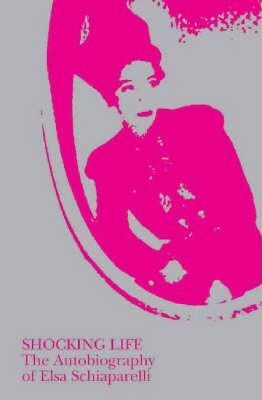 Elsa Schiaparelli (1890-1973) was one of the leading fashion designers of the 1920s and 1930s with a flair for the unusual.